Today, the media constitute a big part of our lives. Almost everyone benefits from the mass media. Actually, it's a really big power to announce our thoughts and our goals about empowering women's economy. Why do not we bring up the ideas about media efforts for women's economic empowerment? What is the role of the mass media in the creation of women's social roles to reinforce them? How can we benefit from mass media for gender equality and women's economic empowerment? How women's visibility and effect can be improved in the decision making process in the media sector? At Mazaya PR and Media the powerful and positive role that the media can play in the empowerment of women and gender equality has been analyzed ,identified and has been working on since 2009. Media is considered to be the most important tool of society in the modern times as it has the power to reach out to a large audience by mass communication and create an impact wherever it can reach, which now has become far and wide. Social media through its ever updating apps and networking is an inevitable source of influence on mass. The media at large has been instrumental though not to the degree desired in supporting the movement for women emancipation by focusing on the neglect and marginalization of the position of the women in society. Communication is extremely important for women's development and mass media play significant role. It is to be distinguished that growth of women's education and their entry into this business through employment has contributed to the growth of media. If media can be a powerful agent of change, it can be an equally powerful agent of oppression. It is without a doubt a dominant medium for advocacy of gender equality and the status of women. Yet the media can also reinforce stereotyped images of women and their roles in society. Women and their contribution to the society have always been overshadowed by the news of their hardships and atrocities inflicted upon them. It is indispensable that the print and electronic media present a balanced picture of women's diverse lives and contributions to society in a changing world. As media has huge influence on people, it should act with more responsibility before reporting and publishing any news. Portrayal of women which is derogatory to their image by media is an evidence of lack of gender sensitivity and has called for making them accountable for such representation of women. Promoting a balanced and non-stereotyped portrayal of women in the media is very important to use it in a progressive way and avoiding the ill effects of any such medium of Media. Women's knowledge about media and access to and control over the various forms of conventional and modern media is still limited in most societies. The increase in the participation and access of women to self-expression and decision-making through the media and new technologies of communication is in a way empowering women. The powerful and positive role that the media can play in the empowerment of women and gender equality should be supported and further explored. 1. 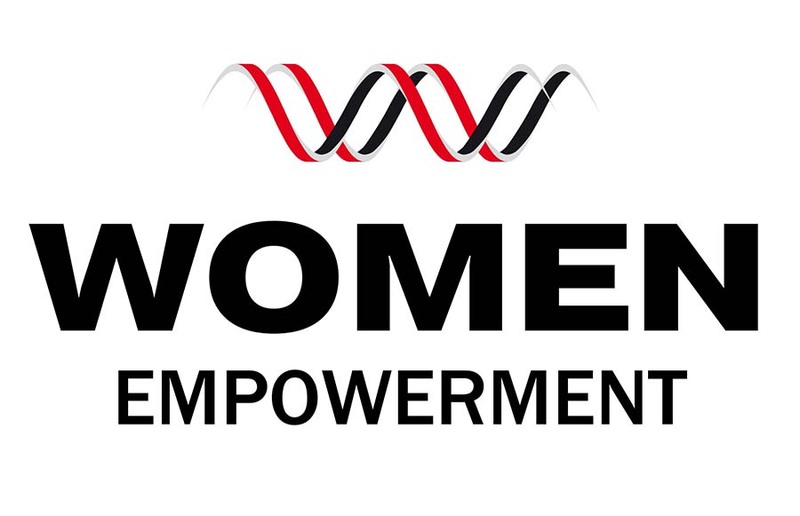 To increase the participation and access of women to expression and decision-making in and through the media and new technologies of communication. 2. To promote a balanced and non-stereotyped portrayal of women in the media. During the past decade, advances in information technology have facilitated a global communications network that transcends national boundaries and has an impact on public policy, private attitudes and behavior, especially of children and young adults. Everywhere the potential exists for the media to make a far greater contribution to the advancement of women. 3- To involve women in careers in the communications sector, and attain positions at the decision-making level or serve on governing boards and bodies that influence media policy. The lack of gender sensitivity in the media is evidenced by the failure to eliminate the gender-based stereotyping that can be found in public and private local, national and international media organizations. The continued projection of negative and degrading images of women in media communications - electronic, print, visual and audio - must be changed. 4- Ensure that print and electronic media has to provide a balanced picture of women's diverse lives and contributions to society in a changing world. In addition, violent and degrading or pornographic media products must not negatively affect women and their participation in society. Programming that reinforces women's traditional roles can be equally limiting. The world- wide trend towards consumerism has created a climate in which advertisements and commercial messages often portray women primarily as consumers and target girls and women of all ages inappropriately. 5- Women should be empowered by enhancing their skills, knowledge and access to information technology. This will strengthen their ability to combat negative portrayals of women of an increasingly important industry. a. Support women's education, training and employment to promote and ensure women's equal access to all areas and levels of the media. b. Support research into all aspects of women and the media so as to define areas needing attention and action and review existing media policies with a view to integrating a gender perspective. c. Promote women's full and equal participation in the media, including management, programming, education, training and research. d. Aim at gender balance in the appointment of women and men to all advisory, management, regulatory or monitoring bodies, including those connected to the private and government or public media. e. Encourage, to the extent consistent with freedom of expression, these bodies to increase the number of TV shows and radio programs for and by women to see to it that women's needs and concerns are properly addressed. f. Encourage and recognize women's media networks, including electronic networks and other new technologies of communication, as a means for the dissemination of information and the exchange of views, including at the international level, and support women's groups active in all media work and systems of communications to that end. g. Encourage and provide the means or incentives for the creative use of programs in the national media for the dissemination of information on various cultural forms of indigenous people and the development of social and educational issues in this regard within the framework of national law. h. Guarantee the freedom of the media and its subsequent protection within the framework of national law and encourage, consistent with freedom of expression, the positive involvement of the media in development and social issues. By national and international media systems Develop, consistent with freedom of expression, regulatory mechanisms, including voluntary ones, that promote balanced and diverse portrayals of women by the media and international communication systems and that promote increased participation by women and men in production and decision-making. a. Encourage government to the development of educational and training programs for women in order to produce information for the mass media, including funding of experimental efforts, and the use of the new technologies of communication, cybernetics space and satellite, whether public or private. b. Encourage the use of communication systems, including new technologies, as a means of strengthening women's participation in democratic processes. c. Facilitate the compilation of a directory of women media experts. a. Encourage the establishment of media watch groups that can monitor the media and consult with the media to ensure that women's needs and concerns are properly reflected. b. Train women to make greater use of information technology for communication and the media, including at the international level. c. Create networks among and develop information programmers for non-governmental organizations, women's organizations and professional media organizations in order to recognize the specific needs of women in the media, and facilitate the increased participation of women in communication, in particular at the international level, in support of South-South and North-South dialogue among and between these organizations, inter alia, to promote the human rights of women and equality between women and men. d. Encourage the media industry and education and media training institutions to develop, in appropriate languages, traditional, indigenous and other ethnic forms of media, such as story-telling, drama, poetry and song, reflecting their cultures, and utilize these forms of communication to disseminate information on development and social issues.